Boxing champ, Oscar De La Hoya, was born on February 4, 1973. His nickname is "The Golden Boy". 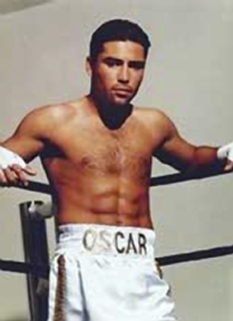 Oscar De La Hoya is a Mexican American boxer and promoter who won a gold medal at the Barcelona Olympic Games. De La Hoya comes from a boxing family. His grandfather Vicente, father Joel Sr., and brother Joel Jr. were all boxers, but it was Oscar who took his boxing talent to superstar status. De La Hoya became Ring Magazine's "Fighter of the Year" in 1995 and Ring Magazine's top-rated Pound for Pound fighter in the world in 1997. Oscar De La Hoya has defeated seventeen world champions and has won ten world titles in six different weight classes. He has also generated more money than any other boxer in the history of the sport. De La Hoya's amateur career included 223 wins, 163 by way of knockout, with only 5 losses. 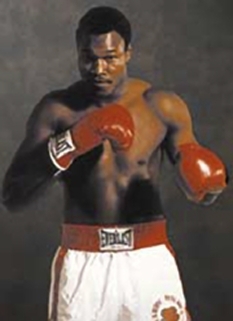 He won the United States' only boxing gold medal at the 1992 Summer Olympics, by knocking down his opponent; a win which he dedicated to his deceased mother. Oscar De La Hoya is also the founder of Golden Boy Promotions, a combat sport promotional firm. 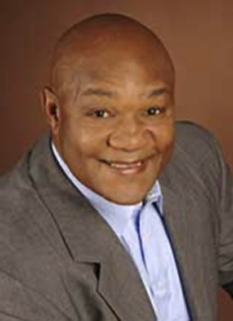 He is the first American of Hispanic descent to own a national boxing promotional firm and one of only a handful of boxers in history who have taken on promotional responsibilities while still active. In early 2007, De La Hoya signed to defend his title against WBC welterweight champion Floyd Mayweather, Jr., the man considered to be, pound for pound, the best fighter in the world. 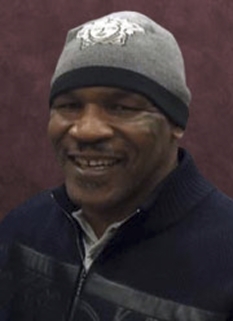 The fight sold out in three hours, and was hyped by a twelve city press tour and the critically acclaimed HBO series "De La Hoya/Mayweather 24/7". Mayweather was considered a two to one favorite in the fight. The fight finally took place on May 5, 2007. De La Hoya pressed the fight throughout all the rounds, doing his best when he used his lead left jab, De La Hoya did rally in the final round but Mayweather earned the split-decision. Mayweather used his speed and his defensive techniques to outwit De La Hoya with clean shots connecting nearly half of them, while holding Oscar to an connection percentage of around 20%, according to Compubox statistics. Oscar De La Hoya was in the works for a rematch with Mayweather that would take place on September 20, 2008, in Las Vegas. Before that, On May 3, 2008, at the Home Depot Center in Carson, California, De La Hoya fought Steve Forbes in a "tuneup" bout. De La Hoya showed a more relaxed style in the fight throwing a constant jab and always staying on his toe showing no sighs of fatigue as he did in other fights and opened a gash near Forbes' eye in the sixth round. The scorecards at the end of the fight were 119-109, 119-109, and 120-108. Mayweather then immediately announced his retirement, which arose many questions- including the obligatory "duck card," and the possibility that he was hoping to earn a bigger paycheck from Golden Boy Promotions. After the retirement of Mayweather, Ricky Hatton was the new potential candidate to fight De La Hoya on September 20th. However, Hatton rejected the offer because he felt the scheduled date was too close to his last bout. He decided to pass on a fight in September to set the stage for a showdown against either Manny Pacquiao or Miguel Cotto. It has been announced that Oscar De La Hoya and Pound For Pound superstar Manny Pacquiao have agreed to fight December 6, 2008 at the MGM Grand in Las Vegas, the fight will be at the welterweight limit of 147 lbs. On August 28, 2008 a teleconference was held by Golden Boy Promotions to officially announce the fight. DISCLAIMER: PFP Sports Talent Agency does not claim to represent itself as the exclusive agent for Oscar De La Hoya. PFP Sports Talent Agency is a booking agency that represents organizations seeking to hire pro athletes and sports personalities such as Oscar De La Hoya for speaking engagements, personal appearances, product endorsements and corporate entertainment. Fees on this website are estimates and are intended only as a guideline. Exact fees are determined by a number of factors, including the location of event, the talent’s schedule, requested duties and supply and demand. PFP Sports Talent Agency makes no guarantees to the accuracy of information found on this website and does not warrant that any information or representations contained on this website will be accurate or free from errors. We are often asked how can I find out who is Oscar De La Hoya's agent? To find Oscar De La Hoya appearance fees and booking agent details, you can contact the agent, representative or manager through PFP Sports Talent Agency for speaking fee costs and availability. PFP Sports Talent Agency can help your company choose the ideal sports personality for your next marketing campaign. To hire Oscar De La Hoya for an appearance, speaking event or endorsement, contact Oscar De La Hoya's booking agent for more information.